The male (which is on the left) lacks, or has a few spots on breast, and usually has a pale band on the neck and pale upperparts. The female (which is on the right) usually has a very spotted breast, lacks a pale band on the neck, and has dark upperparts. 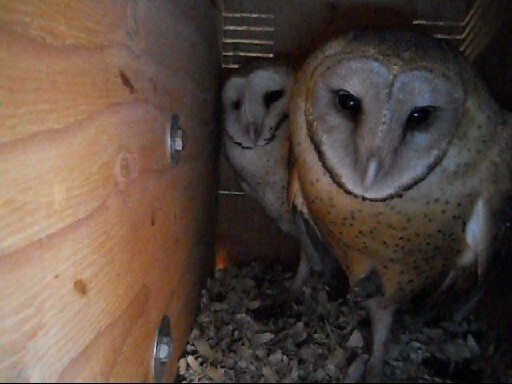 However, many owls cannot be easily sexed due to overlap, and more observations are needed for positive sexing.